“until i feared i would lose it, i never loved to [write]. Okay, we've all heard the "addicted to Pinterest" jokes. We've gone through the "I'm SO over Pinterest" stage. But deep deeeep down (or maybe not so deep down for most of us) we adore this new kid in town. He came in last year as a freshman and hit the winning three for the title. Now he's looking better then ever as a sophomore. We love this guy. 1] I created a group board called "Enjoy Project"... follow it! 4] Once you are added to the group, you can pin your find right to the page. If you would like to contribute to the group, but do NOT want to be an official contributor, leave your Pinterest name and link and I'll post your find myself, with credit for the find to you. 7] Be kind, have fun and enjoy one another, please and thank yaaaa. 8] When pinning on this board, use the #enjoyproject hashtag! It will make it ever easier to find when we have more and more posts. 9] My goal is to have the board available to the current topic for one week. So you have from Thursday-Wednesday to post pencils! Then Thursday-Wednesday to post _______. (I'm not giving away next weeks topic just yet ;) haha). 10] Enjoy yourself. And the ideas. And the other people. Recently I've been in a "hand-writing" mood. Typewrites and handwritten letters are "popular" again, but I find myself really enjoying writing out blog posts by hand, then typing them later. Writing out brainstorms, then typing them later. Writing out numbers for a budget, then typing them out later. So unproductive, but so calming and "focus-ing" for me. 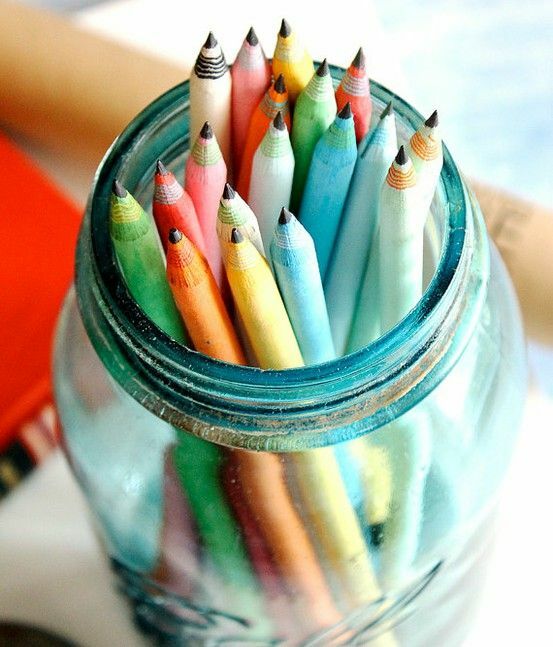 Aren't these colorful pencils gorgeous?! 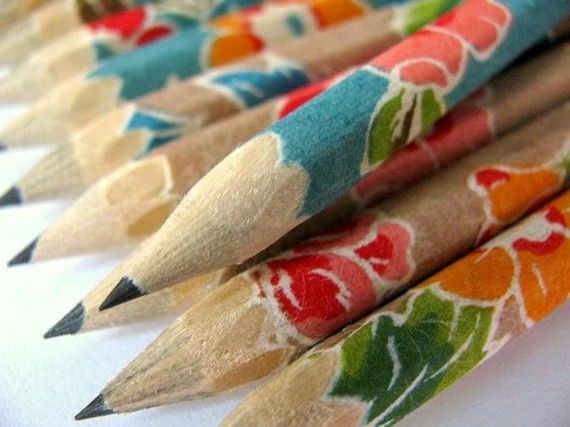 I didn't think I would be able to love pencils more then the previous colored ones, but then I found these japanese flowered pencils. Un.BEE.LEAVE.UB.UL. They are like a Sylvia Weinstock cake: too pretty to use! 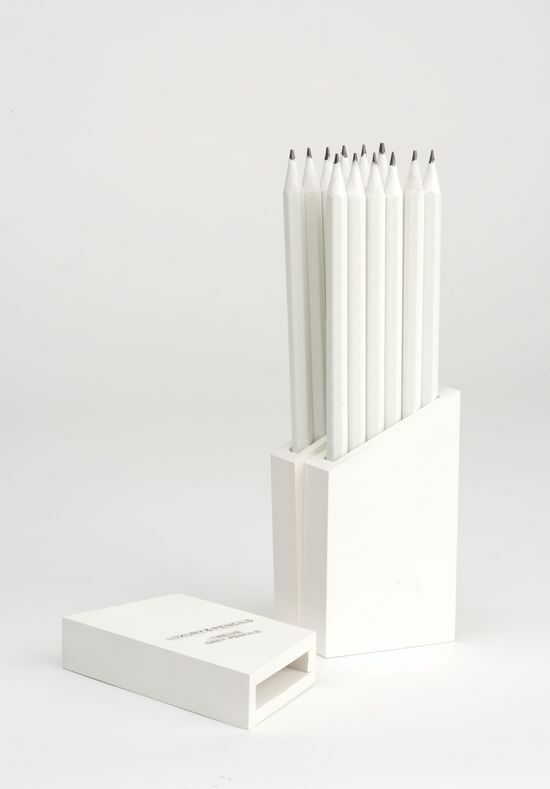 It bums me out BIG time that these luxury white pencils aren't for sale. I would be 100 of them. And write a novel that would make me a millionare. Such a shame. Someone sell these pencils! 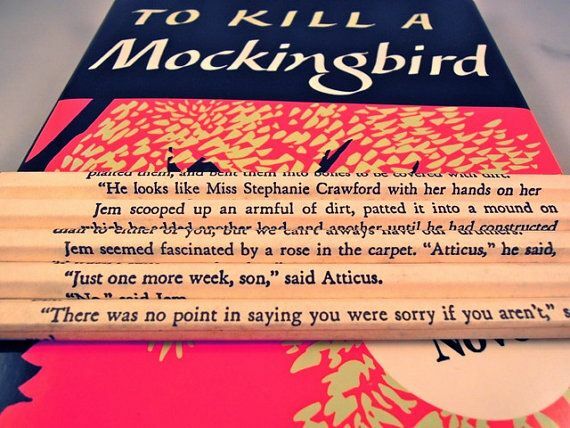 But of all the goods in the land, these brilliant and creative To Kill A Mockingbird pencils are by far my favorite. The etsy store (Bouncing Ball Creation) that makes these uses many other books, too. From The Hunger Games to Harry Potter to Winnie the Pooh, they have it all! Including my heart! Comment with your Pinterest name and your pencil loves! I want to see!